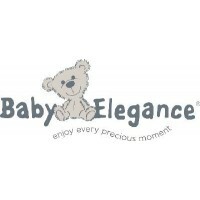 Baby Elegance Healthguard Baby Pillow is designed using world famous anti-allergy, anti-dustmite and anti-bacterial Healthguard fibre. Our baby pillow is suitable from 12m+ and it comes with a fully removable and washable super soft cover. Healthguard Fibre prevents your baby from developing any allergies as dust mites can not live in this fibre. This pillow is made from onr strong pad of healthgurad fibre and it is fully breathable and air permeable.